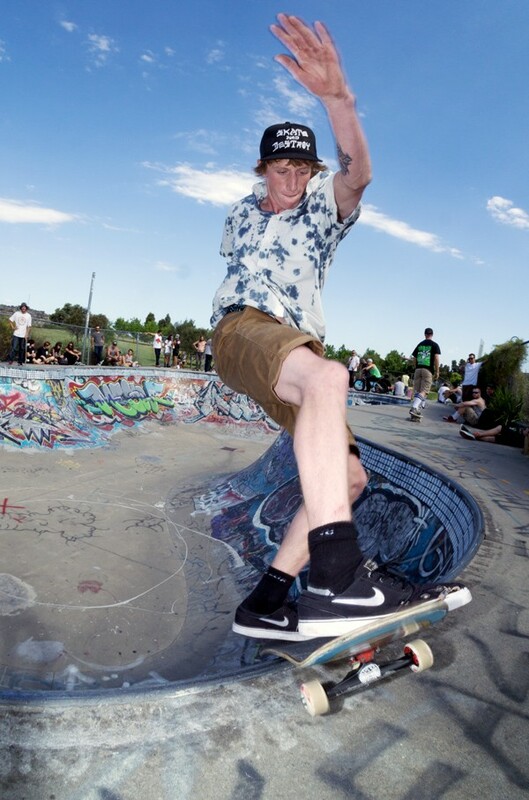 The Grim Creepers put on a great skate Jam at Northcote Skate Park in Melbourne just before Christmas, so I went down with a few mates to check it out. 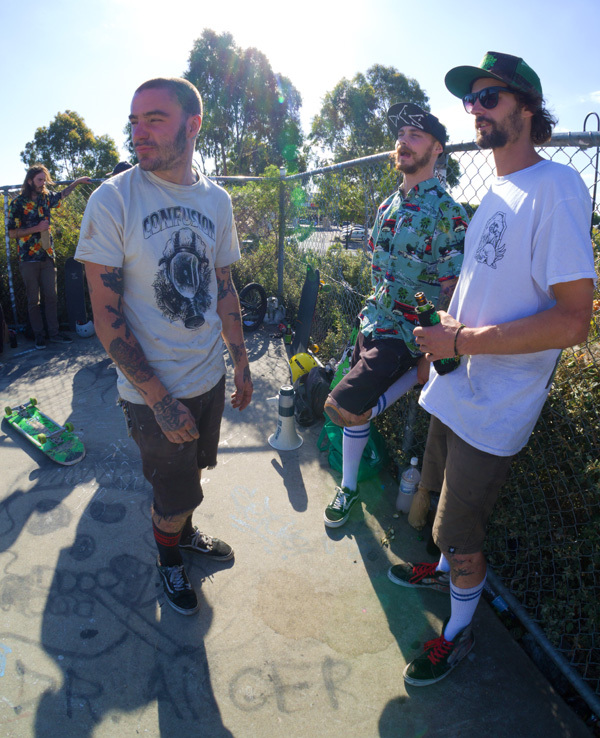 I took David McDonald from Perth and Matt Fenton from Scotland for some serious shredding, but just after we got there Matt attempted a blunt and smashed his ankle, Tim Cunnaz with the Creepers crew quickly got him some ice for it and saved him a lot of pain. The bowl was going off with Nick Bright doing sick nose bones, stales, Josh Lawrence was doing sweepers, layback tailgrab smiths looked sweet as, and Tim Cunnaz going over the hip to 50-50. The gnarly stuff was David McDonald landing a blunt kicky, Matt coming back from the dead 2 hours later to land his massive airs and Shoota doing huge stale truck bash smiths. 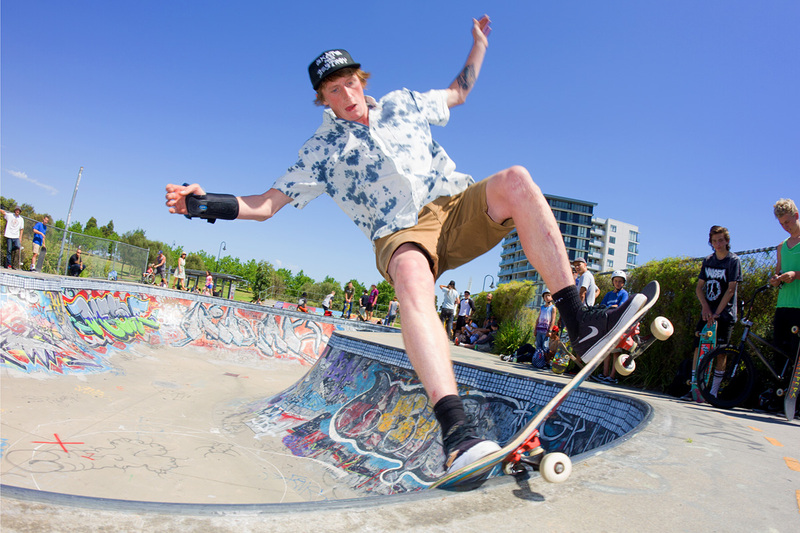 Al ot of fun the whole day with games, bbq and great support from the Creepers, Tim’s Maggot Box Skateboards and Lush handing out some swag. Shoota tailgrabbing while Nello snaps probably an epic photo. Matt Fenton getting some serious air time. David McDonald. Blunt kickflip to fakie. Shoota. Stalefish truck bash smith. Josh Lawrence with a sweeper.